CAMARILLO, Calif.–(BUSINESS WIRE)–On Thursday, November 1, 2018, Federal Communications Commission (FCC) Chairman, Ajit Pai, announced GeoLinks’ CEO Skyler Ditchfield’s appointment to the FCC’s Broadband Deployment Advisory Committee (BDAC) Disaster Response and Recovery Working Group. Read Official Notice here: https://docs.fcc.gov/public/attachments/DA-18-1121A1.docx. This Public Notice serves as notice that Federal Communications Commission (Commission) Chairman Ajit Pai has appointed members to serve on the Disaster Response and Recovery Working Group of the Broadband Deployment Advisory Committee (BDAC). The members of this working group are listed in the Appendix. The BDAC is organized under, and operates in accordance with, the Federal Advisory Committee Act (FACA). The BDAC’s mission is to provide advice and recommendations to the Commission on how to accelerate the deployment of high-speed Internet access. The BDAC’s Disaster Response and Recovery Working Group is charged with making recommendations on measures that can be taken to improve resiliency of broadband infrastructure before a disaster occurs, strategies that can be used during the response to a disaster to minimize the downtime of broadband networks, and actions that can be taken to more quickly restore broadband infrastructure during disaster recovery. It is also charged with developing best practices for coordination among wireless providers, backhaul providers, and power companies during and after a disaster. California Internet, L.P. dba GeoLinks, LLC (“GeoLinks” or the “Company”) submits these reply comments in response to certain comments filed on the Notice of Inquiry (“NOI”) issued August 3, 2017 in the aforementioned docket. Additional flexible access to mid-band spectrum would allow broadband providers to leverage wireless technologies to fill the gaps in the current broadband landscape. Fixed wireless technologies offer new opportunities to connect rural and unserved communities and offer competitive alternatives to incumbent providers in urban settings. GeoLinks submits these reply comments to provide input on potential opportunities for additional flexible access to mid-band spectrum. As explained in its opening comments, GeoLinks urges the Commission to structure a flexible use regime that will allow small and mid-sized wireless broadband providers to utilize mid-band spectrum for point-to-multipoint (“P2MP”) wireless broadband service. As commenters explain, the​ ​3.7–4.2​ ​GHz​ ​band​ ​is​ especially ​well-suited​ ​to​ ​support​ P2MP​ ​broadband​ ​access. However, rule changes are needed to allow for this type of use in the 3.7-4.2 band. GeoLinks agrees with commenters that the Commission should change its “full-band, full-arc” policy for licensing satellite earth stations. As Microsoft states, the Commission “should initiate a process to update its rules regarding FSS earth stations so that they are protected only to the extent necessary to protect them from receiving harmful interference.” More specifically, GeoLinks supports the BAC’s recommendation that the Commission could “modify its rules to permit FSS operators to retain their current licenses to operate across the entire 3700 – 4200 MHz band, but limit interference protection to the frequencies on which the earth station is actually operating at a given time.” GeoLinks also supports commenters’ recommendation to clean up the FSS database. If the database does reflect FSS earth stations that were never built or no longer exist, as asserted by several commenters, failure to update the information only serves to further limit use of the 3.7-4.2 GHz band. GeoLinks disagrees with commenters that advocate that the 3.7-4.2 GHz band should be solely allocated for mobile wireless broadband use. As an initial matter, GeoLinks fails to see how this type of allocation would help meet the Commission’s goals of expanding broadband deployment to unconnected Americans (especially in rural areas). As GeoLinks explains in its opening comments, P2MP connections offered via fixed wireless broadband service create opportunities to connect multiple users from one transmission point. With the appropriate spectrum allocation, fixed wireless providers can offer up to Gigabit+ P2MP connections of identical quality to fiber connections for a fraction of the cost. This is something that cannot yet be accomplished over mobile broadband connections. Additionally, allocation of this band for mobile wireless providers may not provide an immediate benefit to consumers like allocation for P2MP services would. T-Mobile states in its comments that designation of the 3.7-4.2 GHz band for mobile broadband would “complement wireless carriers’ use of spectrum in adjacent bands.” T-Mobile further states that some of this adjacent band spectrum “may be made available in the future.” Moreover, Verizon explains that this band “can support the high bandwidth carriers required for data-heavy 5G services” – a future technology that is still years from full deployment. While adjacent bands do promote efficiencies, the efficiencies touted by certain commenters are too forward looking to base spectrum policy for this band on at this time. A policy of setting aside rare spectrum resources for prospective purposes when they could be utilized immediately to connect underserved areas promotes inefficiency and runs contrary to the Commission’s goals of closing the digital divide. Instead, GeoLinks urges the Commission to create spectrum sharing policies for this band that will promote the deployment of highspeed P2MP broadband services. Some commenters advocate that spectrum licenses in the mid-band should be offered via an incentive auction. While auctions are effective for some spectrum bands, GeoLinks maintains its position that an auction mechanism is not appropriate for mid-band spectrum. First, incentive auctions tend to only benefit large companies with large amounts of capital to spend. Small to mid-sized fixed wireless providers have the potential to offer highspeed broadband services that can meet the Commission’s speed and deployment goals for a fraction of the cost of traditional, fiber-based service providers. Therefore, GeoLinks emphasizes that any spectrum licenses granted in the mid-band spectrum should be granted on a basis that will allow these companies to obtain and utilize them. Second, as discussed above, auctions incentivize bidders to purchase spectrum resources as an asset for future use rather than for immediate use. To meet the Commission’s broadband deployment goals, spectrum policies should be developed in a way that promotes connectivity immediately. GeoLinks urges the Commission to grant spectrum licenses for the mid-band in a way that immediately promotes efficient use and deployment of highspeed broadband services. Specifically, GeoLinks urges the Commission to use a “light licensed” or Part 101-type licensing structure, especially with respect to the 3.7-4.2 GHz band. In conclusion, GeoLinks urges the Commission to develop spectrum policy for the mid-band spectrum that allows for the effective deployment of P2MP wireless broadband technologies. See Comments of the Broadband Access Coalition (“BAC”), GN Docket No. 17-183 (filed Oct. 2, 2017) (“BAC Comments”), at 1. See also Comments of Google LLC and Alphabet Access, GN Docket No. 17-183 (filed Oct. 2, 2017) (“Google Comments”), at 2. See Comments of Microsoft Corporation, GN Docket No. 17-183 (filed Oct. 2, 2017) (“Microsoft Comments”), at 3. See also BAC Comments at 8, and Comments of Verizon, GN Docket No. 17-183 (filed Oct. 2, 2017) (“Verizon Comments”), at 12. See Google Comments at 4-5 and Microsoft Comments at 3-4. Comments of T-Mobile USA, Inc., GN Docket No. 17-183 (filed Oct. 2, 2017) (“T-Mobile Comments”), at 7. See Comments of CTIA, GN Docket No. 17-183 (filed Oct. 2, 2017) (“CTIA Comments”) at 6. Specifically, spectrum allocation of at least 250 MHz in the mid-band would be ideal for these connections. See CTIA Comments at 5. See, generally, T-Mobile Comments. Recognizing GeoLinks as an industry thought-leader in the country’s evolving broadband discussion, the FCC formally appointed Skyler Ditchfield, CEO, to the Broadband Deployment Advisory Committee’s Streamlining Federal Siting Working Group. On Thursday, August 3, 2017, The Federal Communications Commission (FCC) Chairman, Ajit Pai, officially appointed California Internet, L.P., DBA GeoLinks’ CEO, Skyler Ditchfield, to serve on the Broadband Deployment Advisory Committee (BDAC or Committee). Ditchfield will represent GeoLinks as he serves on the BDAC’s Streamlining Federal Siting Working Group (SFSWG), 1 of 5 internal task forces operating within the overarching committee. Established by FCC Chairman Ajit Pai on January 31, 2017, the BDAC provides advice and recommendations to the FCC regarding how to accelerate the deployment of high-speed Internet access by reducing and/or removing regulatory barriers to infrastructure investment. This Committee is intended to provide an effective means for stakeholders with interests in this area to exchange ideas and develop recommendations for the Commission, which will in turn enhance the Commission’s ability to carry out its statutory responsibility to encourage broadband deployment to all Americans. Sitting alongside Ditchfield on the committee are industry-leaders such as Daniel Jorjani, Principal Deputy Solicitor and Acting Solicitor of the Department of Interior, Kellie McGinness Kubena, Director, Engineering and Environmental Staff Rural Utilities Service Department of Agriculture, Rural Development, John Saw, Chief Technology Officer of Sprint, and more. For media inquiries or to schedule an interview with Skyler Ditchfield, please contact Lexie Olson at lolson(at)geolinks.com. Founded in 2011 by CEO, Skyler Ditchfield, and CTO, Ryan Hauf, GeoLinks is the fastest growing B2B fixed wireless Internet Service Provider (ISP) in California.  Proud to service the largest coverage area of any single provider in the state, GeoLinks expanded its territory in 2017 delivering Enterprise-Grade Internet, Layer 2 Transport, and Turnkey Construction expertly tailored for all business and Anchor Institutions nationwide. With industry leading installation times, GeoLinks’ flagship service, ClearFiber, offers customers fixed wireless on the most resilient and scalable network ever built. Boasting ultra-low latency, 99.999% uptime, sub 10ms jitter, and a 4-hour max response time, GeoLinks prides itself on consistently delivering the industry’s best Service Level Agreement. On January 31, 2017, FCC Chairman Ajit Pai announced the formation of a new federal advisory committee, the Broadband Deployment Advisory Committee (BDAC or Committee), which will provide advice and recommendations for the Commission on how to accelerate the deployment of high-speed Internet access. The Commission intends to establish the BDAC for a period of two (2) years, with an expected starting date during the spring of 2017. The BDAC’s mission is to make recommendations for the Commission on how to accelerate the deployment of high-speed Internet access, or “broadband,” by reducing and/or removing regulatory barriers to infrastructure investment. This Committee is intended to provide an effective means for stakeholders with interests in this area to exchange ideas and develop recommendations for the Commission, which will in turn enhance the Commission’s ability to carry out its statutory responsibility to encourage broadband deployment to all Americans.